SOULidified is Toronto’s Premier Classic ’60s Soul Tribute Band. The band’s “mission” is to share this amazing music with a wider — and younger — audience. Otis Redding, James Brown, Wilson Pickett, Sam & Dave, Motown as well as many other artists were giants of the 1960s music scene. To hear and see SOULidified perform these songs with the passion the original artists brought to their live shows is to experience an authenticity (and excitement) that is so often lacking when these classic tunes are played live today. Cool. Tough. Pure. SOULidified. 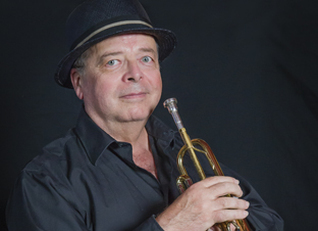 RICK BLECHTA, trumpet, has been a musician for more years than he cares to think about. Raised in the small town of Mamaroneck, just north of New York City, he began his professional career at 16 playing in bars with Gene Sayles and the Soul Salesmen, so you could say he goes way back with this music. 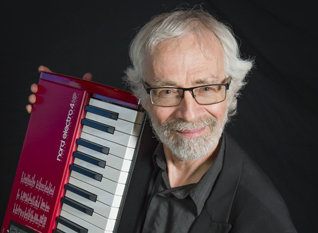 He studied music in university, graduating with a BMus from McGill, then immediately restarted his performing career with Devotion, the legendary Canadian Prog Rock band of the mid-’70s. After that, he taught French Horn at the Royal Conservatory for many years and conducted the RCM Wind Ensembles, and kept his playing career going with jingle work and freelancing. Rick also plays with the Advocats Big Band and the Big Soul Band in NYC. As well, he’s one of Canada’s top writers of crime fiction. (His novels are available at any bookstore or online.) Check out his website rickblechta.com and also his page on Facebook. RYAN BARKER plays tenor sax for SOULidified. He has worked with various jazz and R&B groups in and around Toronto for the past 15 years. His most recent projects have included the Megacity Swing Band and the Monster Rock Orchestra. 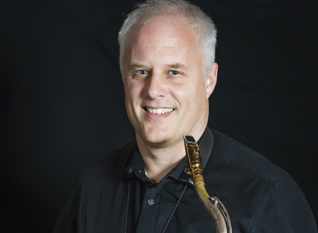 DANIEL KÖLSCH, tenor and alto sax, was born and raised in a small town in the beautiful Black Forest in Southern Germany. He studied clarinet & saxophone with some of the leading instrumentalists and performers in his country. 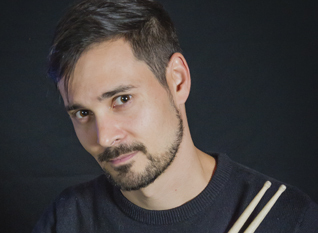 Growing up, Daniel formed and joined a broad range of orchestras, bands and ensembles with performances and concert tours all over Europe. Daniel is a certified conductor for symphonic wind orchestra and has frequently been featured as a soloist throughout his career. Following his move to Toronto Daniel has started to arrange, compose and produce his own music. He has studied jazz improvisation with Jim Odgren and Gary Burton through Berklee's College of Music Online Program. He performers in various big bands, bands, theatrical productions and as a studio musician. 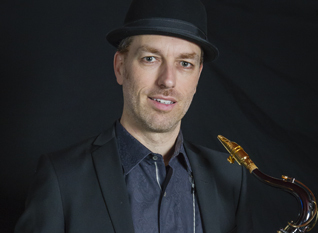 Among others, Daniel plays tenor sax with the Advocats Big Band, Toronto Mambo Project, the Big City Big Band and Le Mardi Soir Jazz Orchestra. PAM FONG plays baritone sax for SOULidified. Originally from Cleveland, Ohio (the birthplace of Rock & Roll), she came to Canada to attend university (which is where she met Rick). After graduating from McGill, Pam worked in Montreal for a number of years, performing in many musical groups, including Sax Plus, a quartet that toured all over Canada and Europe, Tropic Band (salsa), the Valentino Orchestra and many big bands. She's also done recording sessions on flute, alto sax and tenor sax for rock bands and jingles. 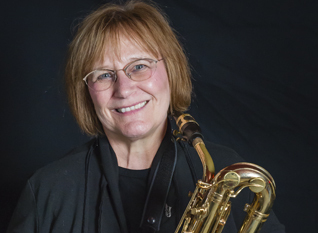 Since moving to Toronto, Pam has been performing in the Advocats Big Band, the Bob Cary Orchestra, and DMSQ saxophone quartet. Music is as natural as eating and sleeping for SOULidified’s newest member, Canadian-born Paige Armstrong. Growing up in Peterborough, Ontario, Paige was always surrounded by musicians. His father played the saxophone for a local band influencing Paige at a young age to develop an interest in music. 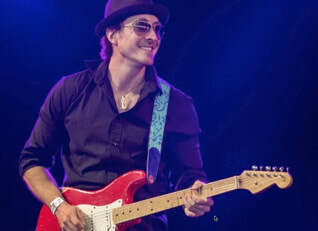 Inspired by a Colin James concert in his teens, Paige knew that the Blues would shape and mold his musical career. Studying the styles of Stevie Ray Vaughan, Jimi Hendrix and Eric Clapton, Paige stands on his own with his guitar-playing style. His continued passion for music and his love for the guitar has pushed him to hone his craft, entertaining audiences all over the world. His musical motto? “To entertain with as much feeling from the heart and soul.” And he does indeed live up to those ideals! Besides also playing solo gigs and sessions, Paige is currently the music director and guitarist for Shakura S’aida. 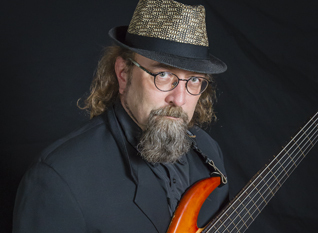 ERIC SOOSTAR, electric bass, is a well-known veteran of the Toronto music scene, performing, producing, touring and recording with the likes of Kevin Breit, Jesse Cook, Figgy Duff, Robert Michaels, Shakura S’Aida, Jaymz Bee and the Royal Jelly Orchestra, Philip Sayce, Rob Tardik, Art Maiste, as well veteran acts such as The Drifters, The Tokens, Billy J. Kramer, Lou Christie, Terry Sylvester, The Crystals and Freddie Cannon. He was also part of the JK Jazz house band, with Adrean Farrugia and Terry Clarke, as well as currently playing with the Judy Belanger Band. Eric is an honours graduate of the Humber College Jazz Music Program and is adept at just about every style of music. JON FEDORSEN, drums, spends his time behind the band, laying it down like they did back in the day. Having spent the last decade playing the circuit and travelling throughout Canada alongside the likes of Collective Soul, the Goo Goo Dolls, David Usher and Our Lady Peace just to name a few. Jon has now resigned himself to a life of building drums and playing over sax solos. And SOULidified always makes sure to “give the drummer some”! Last but certainly not least is Steven Mulcare, SOULidified’s dynamic vocalist. Raised in gospel music, Sam started learning piano at age seven. Growing up in a very musical family, he began dabbling with and loving drums, alto sax, trumpet, electric guitar and mostly bass guitar. Near the end of that experimental 10-12 year span, a few serendipitous and unexpected turns of events lead him to his greatest musical passion of all — singing. Having never actually sung until age 20, it was time to play a little catch up. After performing in a few acts around Toronto and completing various recordings over the last few years, Steven is now excited to head up the vocal and footwork department for SOULidified.